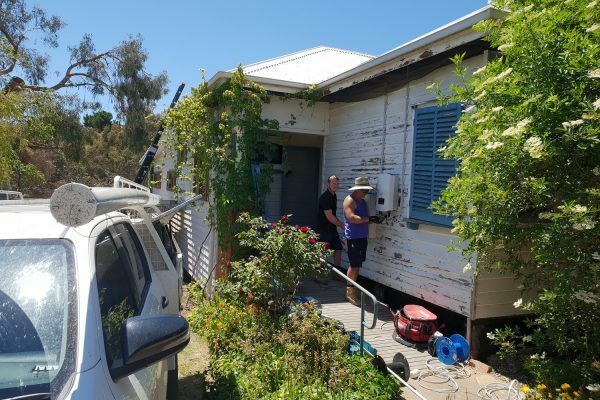 Set in a stunning location at the foot of Mount Tarrengower is the lovely mud brick home and cherry farm belonging to Paul Gilders and Ali Brookes. Ali and Paul’s property was the site of one of the historic Maldon Cherry Farm orchards. When the original orchard owners retired three years ago, Ali and Paul took over the trees on their property, continuing the business. 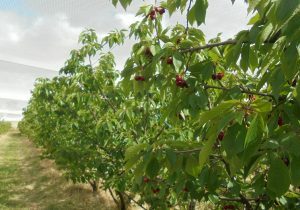 “The trees were all still very young, so we negotiated with the original owners to take over the Maldon Cherry Farm. It would have been a dreadful waste to just leave the trees to die, so I’ve become a cherry farmer!” said Ali. 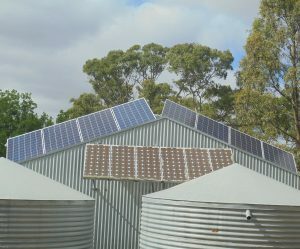 Paul put together a small DIY off-grid solar system to power the fridges and farm equipment. This worked well for a while but as the cherry business flourished more refrigeration was required. “This year, we had to get more electricity to run things the way we wanted. We had to bite the bullet. 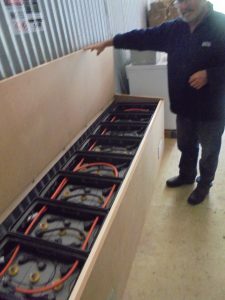 We had to invest in a new off-grid system,” said Paul. 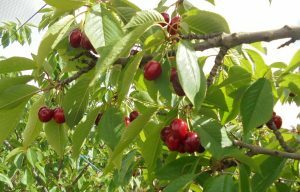 “Whilst the cherry farm was topmost in our minds when we made this decision, the lure of having an electric toaster was also very appealing.” Paul and Ali have had the smaller solar system moved to the Cherry Farm shed, and a new system purchased and installed for the house. 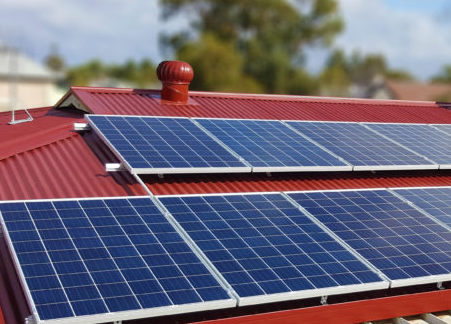 Sunergy’s recommendation was to move the old system to the cherry farm to run the new cooling room and fridges and install a separate off-grid system on the shed near the house. There’s also a (non-Aussie) solar inverter made by ABB Aurora for converting the DC current from the solar PV system to AC power. 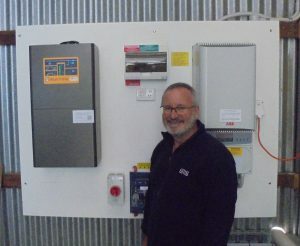 As part of the system installation, Tony from Sunergy will do a complete check 3 months after installation to tune the system. Online monitoring software is all set up on Paul’s laptop. “I will definitely be using it to check our power consumption and learn from it” said Paul. MASH is an initiative of the not-for-profit organisation The Hub Foundation Castlemaine. The current round of MASH will close on Friday 9 December 2016. 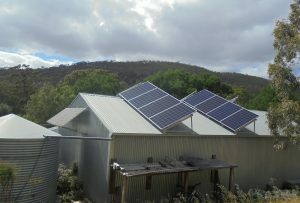 If you are interested in going off-grid and would like a quote, please register your interest on our website or call us on 1300 466 274. 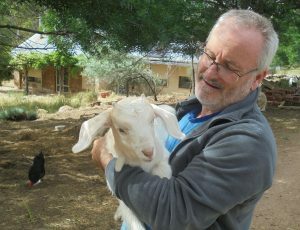 The Maldon Cherry Farm will be holding an opening weekend on Saturday 3 and Sunday 4 December from 12-6pm, each day. Their address is 96 Watersons Road, Maldon. 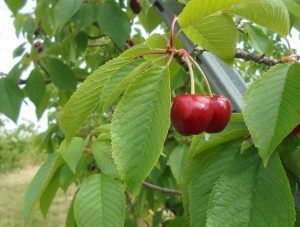 A donation to the Strathloddon Group of Fire Brigades (including Baringhup West, Campbells Creek, Fryerstown, Guildford, Maldon, Newstead and Walmer) from each kilo of cherries sold. Face painting for the kids and sausage sizzle; all proceeds to support the work of the Strathloddon Group.